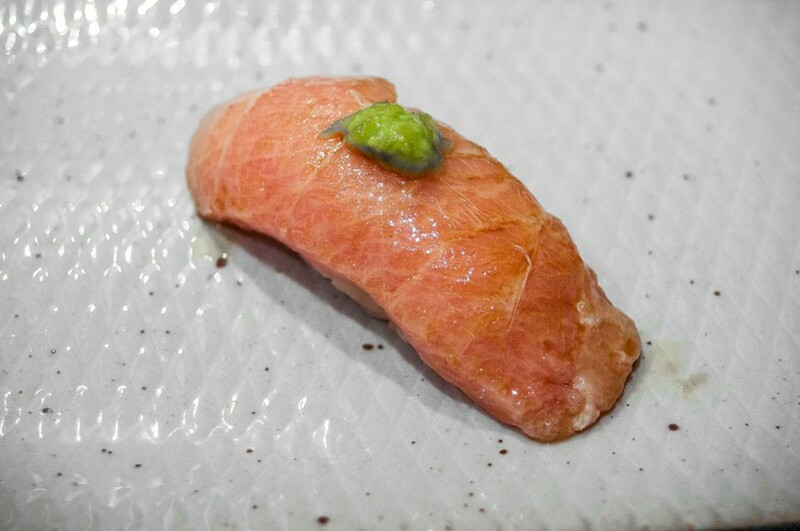 Let’s keep this simple: Sushi Katsuei serves the best sushi in Brooklyn. It’s also one of very few places in the city you can get a legit omakase experience for under $50. For the most part, we could probably leave the review at that SparkNotes version: best sushi in the borough, at a price that won’t make you broke. But for those completists among you who actually read all of Crime And Punishment in school and still watch Grey’s Anatomy because you are NOT a quitter, here are the brief but unabridged details. Sushi Katsuei is a pretty nondescript-looking sushi restaurant in Park Slope - white walls, carpeted floor, plain wood tables. It’s not a divey hole in the wall, but it’s also not the library-type setting of super serious Midtown sushi places. So on the surface, it’s nothing too notable. What is notable, however, is the $45 omakase, which comes with 9 pieces of sushi and a toro hand roll. It’s not cheap, so it’s hard to call it a “deal,” but it’s just as good as, if not better than many places that charge twice as much for roughly the same thing. Katsuei is basically the Brooklyn version of Sushi Dojo, which also serves a $45 omakase, but in the East Village. If we had to pick between the two? We’d hit up whichever is closer to your current location. Neither one is the kind of place you’d travel halfway across the world for, but both are definitely worth a few subway stops. If you’re still reading, you know what to do. If you just skipped to the end, the summary still stands: best fancy sushi in Brooklyn. The omakase is satisfying, but you’ll have room for an appetizer. Try the daikon salad, which comes with slivers of pickled daikon and some other little crunchy things. Another strong appetizer move. Fried bits of tofu that are soft on the inside, sitting in a light broth. A nine-piece chef’s choice sushi order, plus a perfect toro handroll. The nigiri pieces aren’t topped with crazy things like truffle oil and quail eggs like they might be at a place like Sushi Of Gari, but they’re not plain either - expect some light seasonings and sauces on top of your pieces. It’s a mix of your usual raw fatty tuna, salmon, yellowtail, and sea urchin, as well as some more unusual pieces like scored squid.